In September, Nintendo's Direct revealed Square Enix was releasing a bunch of Final Fantasy games on the Switch. 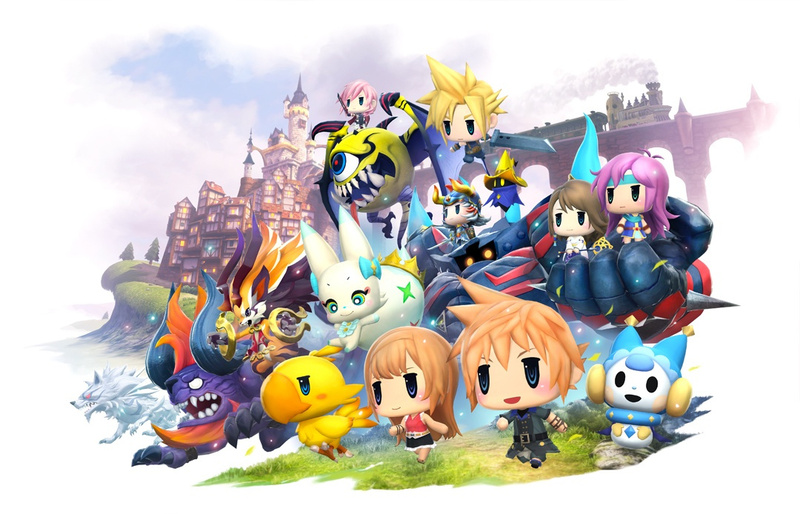 One of these titles included World of Final Fantasy Maxima - an enhanced version of the 2016 original - due out on 6th November. According to Nintendo Everything, there might not be a physical edition for the Switch version of this game. Physical pre-orders are currently available for the Xbox One version on sites such as Amazon and Square Enix's official store, but there's no reference of a Switch version. The situation is reportedly no different in Japan. If you were intending to add this game to your Switch shelf when it releases next month, it means you might have to wait for a possible future announcement or opt with the digital iteration instead. The major downside here is that the digital version of the game requires 10.7GB of free space to install. 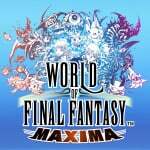 Would you be interested in a physical version of Final Fantasy Maxima? Tell us below. I fear, since the day they announced all those FF related releases, that they'll all be digital. It's a gorgeous game, and I loved it on ps4, but I have a hard time accepting the digital only price point and download size. I am currently low on space so I'm being a tad picky because of that. Maybe whenever it has a future sale I will consider buying it then, but I guess they didn't believe in switch sales for this particular title physically. If I recall correctly, Final Fantasy X / X-2 and Final Fantasy XII: The Zodiac Age have been confirmed physical on switch. $39.99 is a pretty good price for this re-release. Digital only would have been a problem for me on Wii U, but, for some reason, it doesn't bother me on Switch. To be honest, I always assumed it was going to be digital though the price point is way too high for the game. Anti Matter won't like this. Ah, another thread where I, superior digital download being, can enjoy the squirms of the inferior physical copy creatures. Lo and behold, cry for physical! Weep at its tombstone! Muhahahaaa! @Desa I didn't know. Haven't following them actually. But I hope they all get physical releases. This game was meant to be mobile anyways so I'm not expecting it to get a physical release. I'm still hoping that at least FFXII: The Zodiac Age and Final Fantasy X & X-2 have physical releases since they had those physical for PS3, PS4, and PS Vita. The others (FF1-FF9, Crystal Chronicles, Tactics, Chocobo games, etc.) I couldn't care less for physical as I got all of them on NES, SNES, PS1, PS2, GBA, Nintendo DS, and GameCube already. Please SquareEnix, release the game in Physical ! I just want to get rid my PS4 version of World of Final Fantasy. Doesn't bother me, I have the physical release on Vita. Easily a case in which SE doesn't want to get a 16GB game card. Thanks as ever for yesterdays news. No physical, no buy. It's ridiculous, the Vita got a physical version. Nintendo have botched this generation, thanks to these expensive, limited capacity cartridges. Some companies like in this instance won't make a physical version, others have a sizeable additional digital download on top of the cartridge(ruining the boxart with those disgusting white banners), and then others announce a physical version months, sometimes a year after it's already released digitally(e.g Yooka-Laylee). And then there's other companies that won't bring their game at all to Switch because it's too big, as we heard with Elder Scrolls Online(it's about 75GB in size, though with Switch's weak specs they could probably reduce that somewhat) in the past week. Square Enix are crazy if they think it's acceptable to charge $40 for a digital copy of an old game. We need to send them a message that it's not. It's a pass for me then. I'm fine with buying games digitally if I can't get them physically but I expect a lower price point if that's the case. It's too expensive for my liking for a digital only game. Plus I'm not sure I'm interested anyway as I kinda hate the art style. I don't understand why people expect digital to be cheaper in video game terms. It's not like a CD which would be like a 140 megabytes top. This game is 10 gigs and that cost storage space. People whine about the stupidest stuff. Won't be buying it then. Will wait for a sale if this is a case. Still don’t have a Mini SD card and would like to hold off a tad longer. Ok no buy then. Already got the physical Vita version so my handheld WoFF is covered. is there a video for this game ??? I love Chibi memorabilia, Einstein and Tesla are on my work desk displayed prominently, but God I HATE chibi style games, I accept babied style games if it is appropriate to the theme of the game, (FF- 6 & FF-XV being a BIG example of NOT appropriate to the game's theme). I am a very aesthetically minded person when it comes to my games, and converting or producing such mashed up games just doesn't fly, I'm all for graphically upgraded games, but don't screw them just because chibi has hit a popularity high !!! That's fine, I'll stick with my Steam version I got as a gift but I would have gotten this on Switch if it was a physical release. @saintayu I don't think it's that stupid of a thing to whine about. On top of not getting anything physically yourself even if it's just the game case and cartridge, the company also saved on mass-production cost, shipping cost and all that. And with digital, you're not guaranteed to be able to play it in the long term; if the Switch eShop goes down one day and you don't have the game downloaded for some reason (just deleted it for a while due to lack of space, lost it due to broken console), then you're screwed. I do think it's fair to expect the game to be at least a LITTLE cheaper when taking these things into consideration. But the Chibi characters are look REALLY Adorable ! @Yosher I'm sure they'll give notice before the eshop close if it even does this time. If you don't want it digitally at this price or at all you can not buy it. I understand wanting physical but at the same time I'd rather have more games then only games they're willing to release on physical. Finished this on Steam but will probably to double dip on Switch version as well. The grinding nature of this game is perfectly suited for Switch. @TheGhostWhoWalks There's no cheaper technology which is small and safe to be played on the go. If you don't care about portability, get a PS4. The 3rd party library is much better, plus the money you will save from games which already dropped in price there compared to the Switch will pay the console cost. Just be warned, extra downloads requirements isn't a Switch thing and you will find many games requiring them in the other consoles as well. @saintayu While it's true that it's better to get games digitally rather than not at all, I still don't think it's stupid to expect a little cheaper of a price point for the digital release. Even if it's only like, $5. As for me, I know I'll buy this eventually because this game looked pretty interesting to me ever since I saw it on PlayStation, but being the collector of physical games that I am, I will wait either for that physical release (if they end up changing their minds), or an eventual price-drop. But had they released this physically to begin with, I would have bought this day 1 full-price. I simply dislike spending too much on digital-only games, and many other people with me. But yes, as you say, to each their own. So many people denying themselves games solely because of the distribution method. I really dislike chibi style final fantasy characters so this one's a skip for me either way. I probably will pick up FFIX though i'd like to replay it. I won't buy it strictly digital. @subpopz - Its also about the control you have with a physical media. Not to mention if you're charging retail shelf prices for a non-existent retail overhead, I am less likely going to buy it. @Moroboshi876 Physical Switch preorders for XII Remaster and X/X-2 Remaster are already up on Amazon. VII and IX will likely be digital only though. Sad news indeed was looking forward to this physical once I have beat Valkyria Chronicles which I downloaded this weekend. But on the other hand 10.7gb doesn't seem to be too much of a sacrifice and I love FF in any form. No physical release on Switch then Square Enix have lost a sale.